Has a friend or loved one been arrested and taken into custody in Long Beach, CA? If so, you’ve probably got a lot of questions as to how to get them out. We at SCV Bail Bonds know you’re under quite a bit of stress right now, and we’re here to help you through it. Depending on where they were arrested, it’s possible that your friend or loved one has been taken to the Long Beach Jail for booking and processing. If not, we can help you locate them and get the bail bond application process started in order to get them released from custody as soon as possible. If you have any questions about Long Beach Bail Bonds, speak with one of our professional bail agents today. 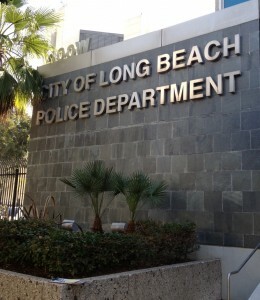 Long Beach is home to one of the largest ports in the world, and the Long Beach Police Department is in charge of policing nearly 500,000 residents. 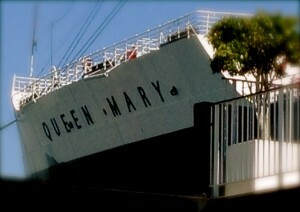 The first thing to do when a friend or loved one has been arrested and taken into custody in or around Long Beach, CA. is to call us and speak directly with a licensed bail bondsman. Our bail bondsman will ask you a few quick questions to get started and locate your friend or loved one within the system. The sooner you call us, the sooner we can get the bail bond application process begun and the sooner they shall be released from custody. To get the bail bond process started, we will require the name of the inmate, their birth date and the date of their arrest. This is so we can locate them and verify their eligibility for bail. After that, there will be a bail bond contract and application to fill out, (which we are happy to explain to you in-person at your home or office, our office, or even over the phone or via fax or email). Once that is complete, and the bond is paid for, bail will be posted and your friend or loved one will be released shortly thereafter. The amount of bail that is set for an individual will vary depending on the number and severity of the crime(s). In California, the cost of a bail bond is set at 10% of the total bail amount. So, if the total amount of bail is $15,000, then the cost of a bail bond will be $1,500. The payment options we accept are major credit and debit cards including Visa, American Express, Master Card and Discover as well as cash, money order, bank account transfer, money wire and business or personal checks (upon prior approval). We know that this can be an extremely stressful time, let us help you out. We’ve been in the bail bond business for years and are able to quickly guide you through the entire process and get your friend or loved one out of jail as soon as can be. Call us any time of day or night for information regarding a bail bond at the Long Beach Jail, at 877-422-4591 to get started.